The policyholders owned a home with a detached garage in Alpine, Arizona. Beginning on May 29, 2011, eastern parts of the state and western New Mexico were devastated by a massive blaze known as the Wallow Fire – we published a post about an Arizona district court decision concerning business interruption loss that stemmed from that conflagration last month. The fire consumed the detached garage and all of the vegetation on the nearby hillside, but it did not reach the house. On August 6, 2011, however, one month after the Wallow Fire had been contained, there was a mudslide on the hillside, and mud and runoff water from flooding destroyed the home. The insured brought suit, and the district court granted the carrier’s motion for summary judgment. Last week, however, a panel of the Ninth Circuit, consisting of two circuit judges and one district court judge sitting by designation, reversed and remanded the case for trial. The per curium opinion began by noting that Arizona had never adopted the efficient proximate cause rule and that the state supreme court had explicitly held that “an insurer is permitted to limit its liability unless to do so would be inconsistent with public policy.” The judges then proceeded to decide that the policy language at issue was in effect just that – a violation of public policy! The court’s noted that Arizona requires that all fire policies conform to the 1943 edition of the New York standard fire policy, which provides that the carrier is insuring “against all direct loss by fire, lightning and by removal from premises endangered by the perils insured against in this policy.” Significantly, the panel omitted the fact that the sentence continues “except as hereinafter provided.” The key question was, therefore, whether the mudslide was “directly” caused by the blaze. 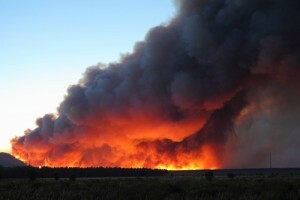 Under the Appleman definition of direct and proximate cause as adopted by Arizona, it is possible that the fire directly caused Stankova’s loss in “an unbroken sequence and connection between” the wildfire and the destruction of the house. 5 J. Appleman at § 3083. A reasonable factfinder could conclude that the destruction of the house was caused by the fire, which likely caused the mudslide, “the operation and influence of which could not be avoided.” Id. at § 3082. ACC language has been given effect in Arizona, and there was none in the policy at issue in the case that the panel found to be so instructive. That did not trouble the judges, however. Instead, they disposed of the issue in a few sentences in what is basically a postscript to the opinion. In the words of the decision, the ACC provision “is inconsistent with Arizona’s standard fire policy, which insures against all direct loss by fire.” The panel went on to say that “[w]e know of no case which would allow Metropolitan to contract out of the standard fire policy’s purpose so as to exclude coverage for this type of direct loss from fire,” which is an interesting observation given the fact that no court has yet found that the mudslide was, in fact, a direct result of the blaze.